Here’s another photo editor for the iPad, brought ot you by Nik Software, the leader in digital photographic filter development and produces award-winning technology and plug-in products for digital photography and imaging professionals. 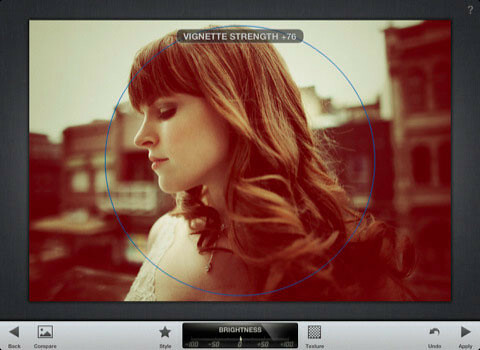 Auto Correct – Automatically analyzes your photo and adjusts color and exposure to perfection. Selective Adjust – Make precise selections and enhancements to specific areas of your photos in seconds with Nik Software’s revolutionary U Point technology. Tune Image – Use Ambience to create depth and vibrancy that uniquely adapts to colors and textures. Adjust White Balance, Saturation, Contrast and. Straighten & Rotate – Rotate or straighten photos with simple gesture controls. Crop – Easily crop images to remove distracting parts of your photo. Black & White – Give that classic Black and White look to your photos with this darkroom-inspired filter. Vintage Films – Make any photo look like a vintage color film photo from the 50’s, 60’s or 70’s. 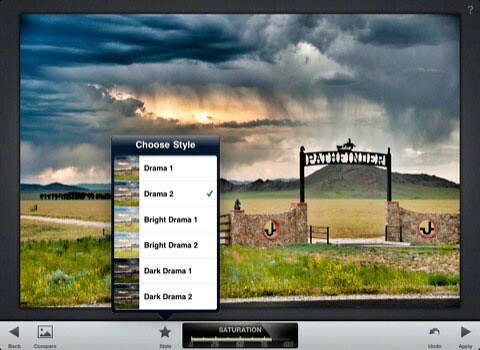 Includes nine different color casts, plus controls like brightness, saturation, textures and vignettes. Drama – Add breathless style with a custom effect specifically tailored to your photos, ranging from subtle enhancements of textures to wildly creative and artistic effects. 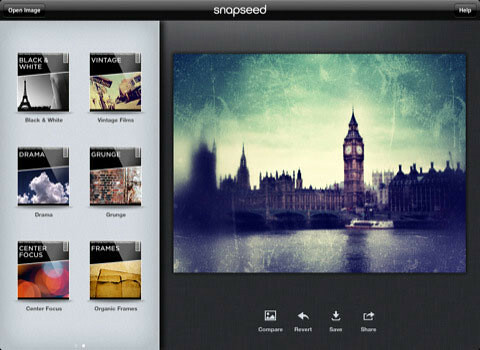 Grunge – Give your photos a totally unique, hip, and dingy look with the Grunge filter. Center Focus – Draw attention to the subject of your photo blurring the surrounding background with a few simple gestures. Organic Frames – Add stylized borders to your photos for the perfect finishing touch. Check out this video demo for more info.